We've had a busy Springtime this year...with D's birthday in March, followed by Persian new year and then of course Easter and Miss T's birthday. 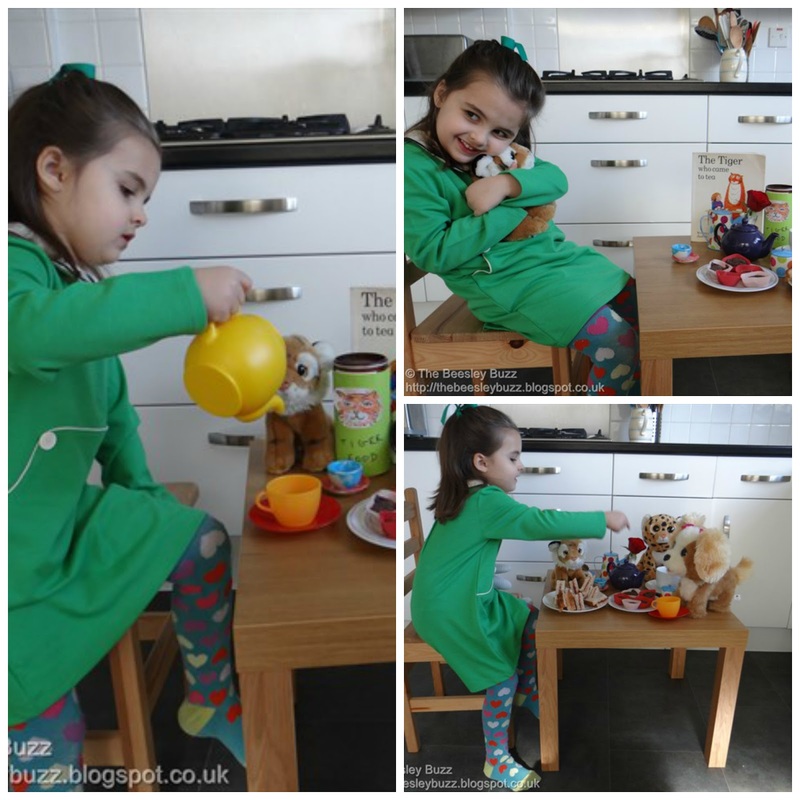 One of the gifts Miss T received for her birthday was a gorgeous green dress from Jools Oliver's Little Bird range for Mothercare. It must be from a previous season as I couldn't spot it online anywhere at the moment but it is just stunning. Miss T gets lovely comments wherever we go when she is wearing it. It immediately reminded me of Sophie, the little girl in The Tiger Who Came to Tea story. The dress just reminded me of that era. So me and Miss T had a fun morning inviting her cuddly tiger to tea whilst she was wearing her new dress. Miss T loves flowers and I can rarely take her to the supermarket these days without her begging to buy flowers. Broccoli, pineapple and flowers are the things she asks for. I suppose I should be glad that it isn't things like sweets and chocolates. So it wasn't long before she wanted to have some photos taken with the roses she chose. Oh I love your photoshoot - how cute! naw, she is the perfect model for your photo-shoot. So happy, what a lovely post.